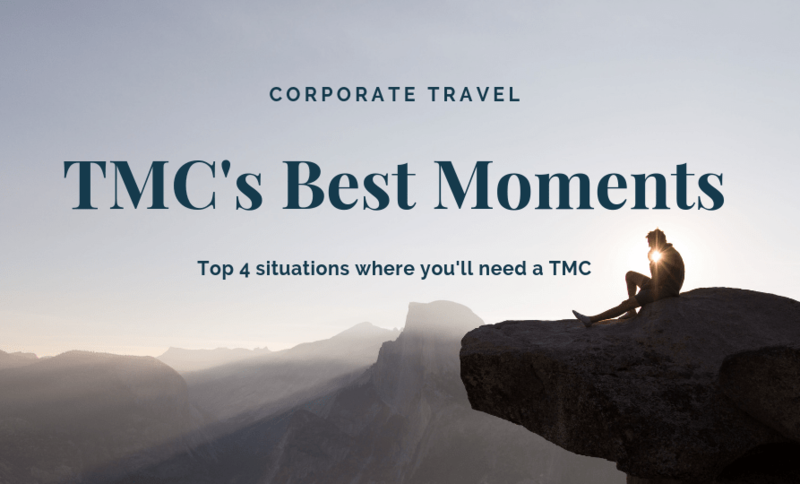 There are many benefits to engaging a TMC to handle your corporate travel. From organising travel in one handy system to helping create travel policies, having a TMC on the books is a good investment. However, there are some specific situations where it’s extra handy to have a TMC on call. Travel mishaps are unavoidable whether they’re the passenger’s fault or beyond anyone’s control. For example, missing a flight versus being fogged in. Either way, travel issues need to be tended to. Delays and mishaps are undoubtedly frustrating, especially for the traveller stuck in an airport or on the tarmac for hours on end. However, working with a TMC means there’s a professional on hand. The TMC can handle any flight changes, hotel issues or even car situations should the need arise. Your travel managers can look for alternatives and book these, so you and your staff don’t need to worry about a thing. Travel non-compliance is not all uncommon. Despite corporates having travel programs in place, bookings will be made outside of the policy, whether that’s by mistake or intentional. However, if this is happening a lot more than it should be, having a travel management company can help. With a TMC, reporting is ongoing and accessible. Therefore, you can keep tabs on what is going through the appropriate channels and what is slipping through the cracks. Any business needs to understand where money is going. In most cases, travel is the third or fourth highest expense after wages. Using a TMC not only cuts the outright cost of travel, it also gives you access to reporting data. Consequently, you’ll have visibility of travel spend and areas where you can improve your bottom line. Travel isn’t without risk, and you have a duty of care toward all your employees. The risks of travel can include something as common as a flight delay or more serious issues such as civil unrest. A TMC keep details and a status report of all your travellers. They will also be able to identify immediately if one of your travellers is at risk. A TMC will keep details for all company travellers, from flights, to hotels and car hire right through to tours, in one place. This means contact details can be found immediately and situations can be dealt with as quickly and calmly as possible. It might seem easy to handle corporate travel yourself – after all, there are a number of booking websites available to help. However, these online websites don’t offer the security, data reporting and streamlined travel management a good TMC provides.